At the Hunter Law Firm, P.A., in Jonesboro, Arkansas, we provide strong representation to clients facing a wide range of legal issues, including those related to bankruptcy, Social Security Disability and personal injury. Whether you are facing overwhelming debt or require financial compensation and benefits due to a serious illness or injury, you can count on us to be your advocate throughout the legal process. We are committed to achieving the outcome you need to start anew. 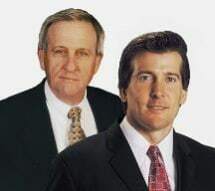 Our attorneys, Scott Hunter Sr. and Scott Hunter Jr., have a wealth of legal knowledge and a combined 50-plus years of experience. Scott Hunter Sr. is a former prosecuting attorney who uses this knowledge to build strong case strategies on behalf of his clients. Our firm also includes a Social Security Disability consultant who is dedicated exclusively to helping clients with their claims. This experience helps us thoroughly and diligently prepare claims that are tailored to your unique situation. We will provide compassionate, personalized representation that is focused on your goals for a desired outcome. We will never pursue a legal option that makes you uncomfortable, and our lawyers will work to resolve issues out of the courtroom unless litigation is the best strategy to succeed in your case. Information about Social Security Disability claims. Information about filing a personal injury claim. Information about filing an automobile accident claim.